Borche's Hi Tec Auto Repair Offers Auto Repair Services You Can Count On! 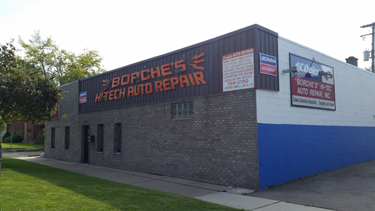 Since 1989, Borche's Hi Tec Auto Repair has provided motorists in the Warren, MI 48089 area with comprehensive auto repair services that include 4x4 Services, Alignment, Brakes, Car & Truck Care, Domestic Cars & Trucks, Electrical Services, Electronic Services, Engine & Transmission, Engine Maintenance, General Services, Heating and Cooling Services, Import Cars & Trucks, Miscellaneous Services, Towing, Transmission Services and Undercar Services. Our goal is to offer the best services available at affordable prices to get you back on the road in no time. For a high-performing vehicle, trust Borche's Hi Tec Auto Repair with your car, truck, or van. To learn more about the services we offer, please contact us by phone at 586-758-0750 or send us an email. We also invite you to learn more about our dedication to you, our valued customer. Whether you have a Duramax diesel or a mercedes as I do, DON"T go to the dealership or any other mechanic other than Borche's. You want the straight facts of your auto issues, see Jason. He'll give you the good news....and yes sometimes the bad news of your dilema but he'll always come up with the best alternative for you...and the price is FAIR. He's a master mechanic that can't be beat and it shows in the workmanship. Done right the first time too! I wouldn't go anywhere else! My brother-in-law referred us and have not been anywhere since! They are always helpful, accommodating if they can be and overall just a great place to take my cars! We have been going there for about 7 years now and my kids take their cars there and I refer anyone I can there and no one's ever been disappointed. Have had multiple vehicles repaired here and have always been treated well, they go above and beyond. Prices are very fair and the work is always superior. 5 stars! Jason was absolutely top shelf. He did a completely thorough job on a 2006 PT Cruiser and was very detailed in explaining what was wrong, repairs needed and exact pricing. We even got a follow up email asking how car was running. Amazing customer service, great pricing, outstanding work. Simply the best. Honest high quality work. This auto shop is great! I live over 20 miles away, but can say that the commute is worth being a client of Borche's. Jason is such a sweetheart! He is very honest and knowledgeable. If you're looking for a new shop, he is the guy to talk to and this is the place to go! Jason & Bob have taken care of my car for a couple of years now and I will never take it anywhere else. They have also been very up front and honest about repairs and have always squeezed me in when something comes up that needs to be addressed immediately! I have also found that they stand behind their work 100%. You will never find a more friendly and honest repair shop around. Absolutely love the family atmosphere that makes you feel at home. This is hands down the best auto repair shop. They always go above and beyond. The mechanics do a thorough job of explaining what work needs to be done, necessary parts, timeline, and estimated costs. Communication is second to none. The work is stellar and the always completed in a timely manner. I would highly recommend. I went in yesturday for the first time and the entire staff was nice and friendly. Me and the receptionist held a conversation like we know eachother for years, Jason was awesome and very knowledgeable. He explained everything to me and was kind. Jeff did awesome work. I will recommend them and If I ever need any further work I will be going back. Thank you! Borches is the place to take your vehicles!! It?s family run and not only do they take care of our family cars, they also take care of our business fleet. The staff is friendly, knowledgeable and capable of all your automotive needs. I highly recommended them. First time looking at a used vehicle and took a 2015 Chrysler Town & Country into Jason at Borche's. Excellent value for my money. Jason has the car inspection done in just a few hours and took the time to go over the details of what he found. He gave me estimates on what repairs would cost and explained to me what each item was, what the issue was and how it could be resolved. Honest guys that I would definitely recommend - especially as a person without a lot of car knowledge. If anybody has any car issues this is the guy to take it to! Jason and his family own it. He is the car whisperer! Cost me a fraction of what everyone else would have charged me. My wife took her car to FOUR different places including the DEALERSHIP who kept it for several days and couldn't figure out the problem... This guy had it fixed in 3 hours! And we've never been treated so well! I won't ever take a car anywhere else as long as I live! Very welcoming and friendly place; definitely a family feel too! The mechanics there are very educated and thorough. Highly recommend! Honest, reputable, A+ work. Finally found my go-to place. Highly recommended you won?t be disappointed. I was a referral from one of my customers and was told to ask for Jason. I went in and had car inspected, he then gave me pricing and what to expect and never was overbearing. The service I received was like no other far as car being serviced and the customer service. I would definitely go back for any other car needs and refer any of my family or friends to this shop. Wonderful service & friendly staff! The company I work for sends their fleet here to be repaired. They do excellent work. Great honest, hard working, family, great work... we have had great experience every time & will never go anywhere else.... I highly recommend Borches Hi Tech Auto Repair to all my family and friends .... recently had 2 vehicles, 1 a problem vehicle I just purchased of which other dealers and service shops couldn't figure out, Jason figured it out it was a $15 part .... very knowledgeable and honest very as is his father Bob ... satisfied with his Quality Of work and prompt attention to detail... I just can go on and on I'm so happy I found these wonderful people and this professional repair shop... I can't say enough nice things about them ... I trust them with my vehicles. Truly an amazing place. They keep my car running like new with 116K on it! I absolutely love this shop! I've never had a problem that they couldn't solve. Also, it is super friendly and amazing service. I definitely recommend! I drive home from Chicago just to have them work on my car! I have owned Toyotas, Subarus, and Volkswagen-this is the best shop ever! Absolutely amazing service. I had taken my car to FIVE other shops, including the dealership and NO ONE could figure out my intermittent starting problem. Jason literally had my car for less than 24 hours and figured it out!! I mean figured out, repaired and in my driveway in less than 24 hours. You can tell a difference in customer service when someone is genuinely passionate about their job. If you're on the fence, don't be!!! Take your car there right away, they have my referral for life! Knowledgeable and fair. Our family has been going here for years. We feel the service is complete with fair pricing. The work done for us has been on Dodge trucks, classic cars and Chevy products. Great neighborhood shop to take your business. AWESOME PLACE! FIXED MY WIFE'S CAR IN ONE DAY!! DROPPED OFF A COURTESY VEHICLE FOR HER TO USE WHILE THEY REPAIRED HERS. BY FAR THE BEST EXPERIENCE I HAVE HAD AT A SERVICE FACILITY!! THANKS AGAIN BORCHE'S HI TEC! If you want to find honest people who care about your family and the well being of your vehicles, then you have found the right place. I could not recommend a better and more thorough shop. 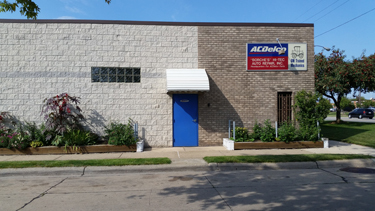 I honestly feel safe leaving their building every time and that is hard to do when it comes to building trust with an automotive specialist. Very professional and they never give you any added surprises. If they find more damage than expected they will call you first everytime before they fix it. And affordable labor prices. You're car is looked at and inspected within 24 hours of dropping it off so no week long drugged out process 3 to 4 business days at the most its in the shop. I brought in a Toyota Camry 1992 for a used car checkout, and Jason the mechanic got to it right away. He proved himself efficient, thorough, and knowledgeable. Although they seem are a GM shop, Jason had a lot of knowlege of Toyotas as well, sharing with me common maintenance issues with Camrys and Corrollas of a similar "vintage." I bought the car, and all of his assessments for repair needs were spot on. Very nice staff, tidy bright shop, family-owned, would bring my cars there again! Highly recommended.